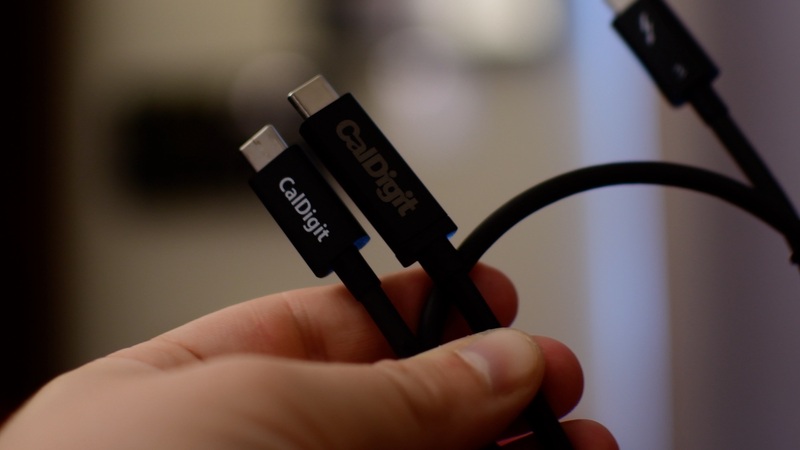 CalDigit TS3 is a solid options for pros looking to expand the functionality of their MacBook Pro or Thunderbolt 3 equipped iMac. More accessories have been hitting the market aimed at pros. Both in functionality, as well as in price. The CalDigit TS3 falls into this category with a wide array of ports, however it still leaves a few areas to be desired. The first thing I liked about the TS3 was the minuscule size. It is relatively small considered to other options out there. Of course, many docks can achieve this by offloading their power components into an external brick that can be quite large. In this case, the power adapter is almost as large as the unit itself. This is probably a worthwhile tradeoff, as that can sit below your desk, keeping it clutter-free, and giving the dock a smaller footprint. 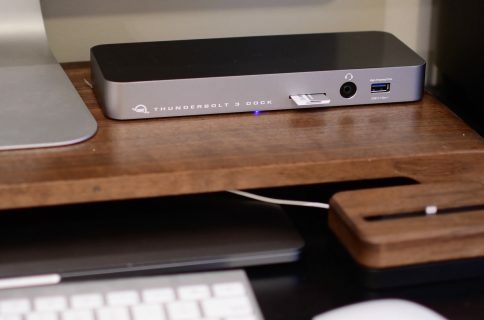 One of the best things about a Thunderbolt 3 dock isn’t just the ports it provides. It’s the simplicity it offers. You can sit down at your desk, plug in a single cable to your MacBook Pro, and have access to everything connected to the dock. That includes an external display, additional storage options, speakers, ethernet, and even charging. 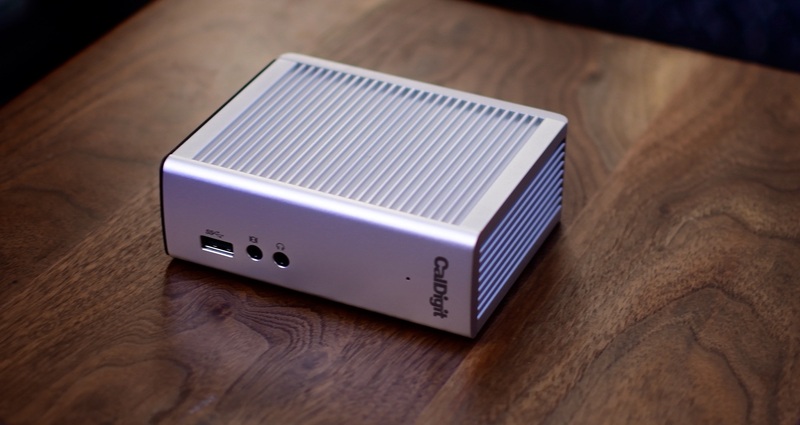 That’s right, the CalDigit is able to provide up to 100 watts of power, which is more than enough for even the 87 watt power draw on your 15″ MacBook Pro. Port-wise, your options are vast. On the front, you have audio in/out, and a USB 3.1 port. One thing to note of value, the USB port on the front is powered, even if your machine isn’t connected. That means if you have something like an iPhone plugged in, it will continue to charge without your Mac. On the back of the unit, you have several more options available. Aside from the dock, you also have a Thunderbolt 3 cable included. It is a half meter cable, which is perfect if your dock is sitting on the top of your desk. If you want to place the TS3 elsewhere, you may need one of the 1 or 2 meter options that CalDigit has available. Quick note on the difference between the 2 cables however. The longer length of the Thunderbolt cable requires an active cable, instead of a passive one. It needs additional hardware in the cable to guarantee throughput at the longer distances. Why does any of that matter? Because the benefit of longer lengths comes at the cost of USB 3.0 and 3.1 compatibility. That means the short cable included works with USB 2.0, 3.0, and 3.1. The longer cables are more robust, have a thicker gauge cord, and are compatible with USB 2.0 aside from Thunderbolt 3. 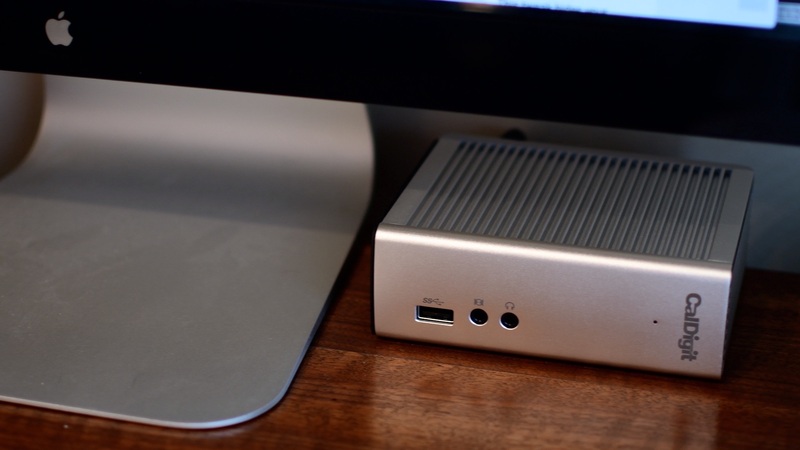 For pro users, especially those with some legacy hardware, this may be the best dock. I’m not sure of many other Thunderbolt 3 hubs that support eSATA which is extremely useful. I also appreciate the size and orientation options. It is easier to adapt to your space, instead of the other way around. I also don’t mind the availability of only 3 USB Type-A ports. Some people may have more devices, like keyboards, hard drives, iPads, or the ilk to plug in. The TS3 though is more aimed at pros. I don’t have too many USB-A type devices I need to plug in. As we switch more to USB-C, honestly I’d have preferred to have more of those instead. There are a few I/O options that I feel are lacking here on the TS3, notably SD or Micro SD card ports. As a photographer and videographer, that is one of the utmost important things to me, which means I’m still left with an adapter. That said, I use XQD type cards frequently, and those always require an external reader, and mine happens to have SD inputs as well, so it isn’t a huge deal. I can see for others, this would be a painful thing to leave off. I mentioned at the inset of this review how I found the power brick to be quite large, though necessary. This I still consider a disadvantage, but mostly for my dismay of disproportionally large power adapters than anything else. 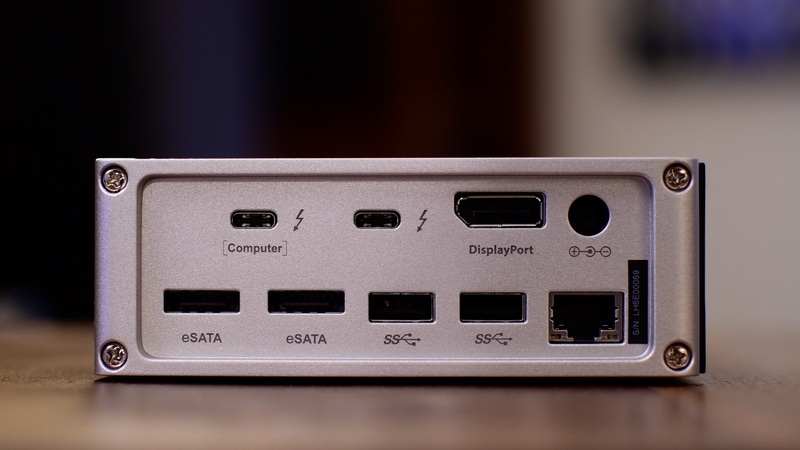 I’d also prefer HDMI over the Display Port, but that is just easier to handle with Thunderbolt 3, and all other major hubs opt for the same interface, so it isn’t something exclusive to CalDigit. I find myself squarely in the “fan” column when it comes to the CalDigit TS3. It is overly robust, with nearly all the ports I could use. I’m sure if I was to get granular, I could nitpick things all day, but when the device itself is so solid, nitpick is all you can do. 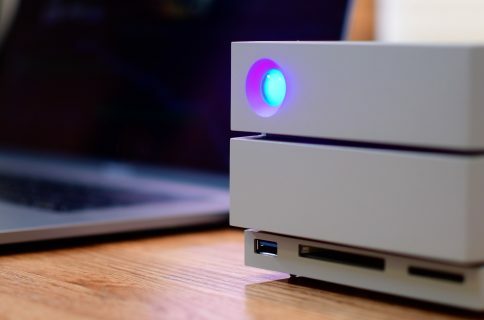 The price is obviously on the high end, coming in at just under $300, but that is the current trend for Thunderbolt devices. 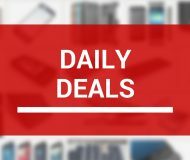 As Intel moves to lower the barrier to entry of creating Thunderbolt devices, hopefully these prices will drop in the future. The TS3 can currently be found on Amazon for $300, as well as the lite version for $200, which lacks a few ports, but saves you a hundred bucks. Check them out and let us know what you think down below in the comments.